You are here: Home / News / Is the White Knot the New Red Ribbon? Is the White Knot the New Red Ribbon? Thousands of them were distributed at rallies last weekend. Here are instructions on how to make your own. 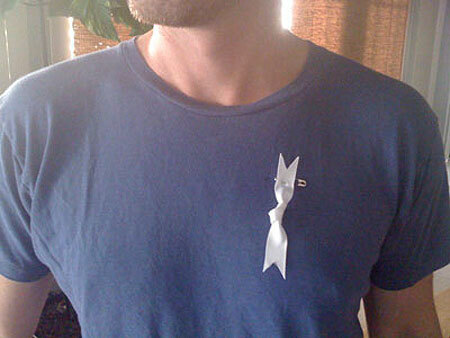 The AIDS ribbon certainly became a powerful symbol of solidarity and remains so today. A white knot seems an appropriate symbol using the language of marriage.